Meal Kits – New Staple? First off, what are meal kits? As the name promises, meal kits are a collection of all the ingredients you’ll need to create a specific meal—proportioned ingredients, spices and sauces, and step-by-step instructions—combined in a single kit. Meal kits are usually ordered online from companies such as HelloFresh or Blue Apron. They typically arrive once a week as a subscription service, have two or more servings per meal, and are generally designed to be completed within an hour or less. Meal kits tend to be more popular among younger consumers. Middle- to upper-middle-class millennials, with men being slightly more likely to use a meal kit service than women, are the key demographic according to a survey conducted for MONEY. It’s hard to say how much trade is being siphoned from grocery stores by the meal kit industry. They represent just one branch of the internet food provision phenomenon that’s taken a significant bite out of grocery stores’ bottom line. However, the statistics that are available on the popularity and prevalence of meal kit services aren’t entirely telling because it’s a market with a very transient customer base. This makes determining the long-term toll being taken difficult to ascertain. Everyone wants a bite of the meal kit pie. As of 2017, meal kits were valued at $4.65 billion explaining the interest shown in this niche market by the food industry and sales and marketing agencies working in the food retail space. Major supermarket chains are scrambling to get in on the action with their own dedicated meal kit brands and by acquiring established kit distributors, committing serious capital to do so. Albertsons acquired meal kit service Plated in September 2017 for $300 million. In May 2018, Kroger announced that it would pay $200 million for meal kit provider Home Chef. Furthermore, they agreed to shell out an additional $500 million if Home Chef’s in-store and online numbers met Kroger’s sales goals. This is in addition to Kroger’s bespoke Prep+Pared meal kit brand. Wal-Mart has also gotten in on the action, launching its own meal kit brand in March 2018. 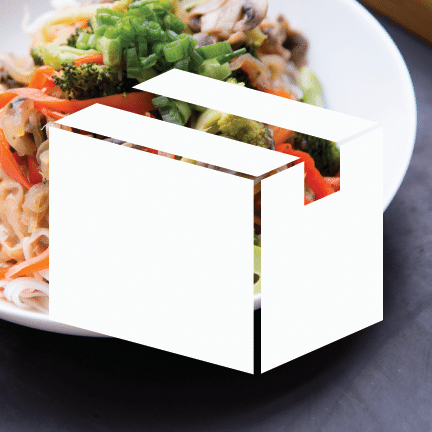 Like every other retail trend, whether meal kits are here to stay is unclear. The short answer is: Signs point to yes. With a multi-billion dollar-spending customer base and the fantastic sums being invested in the meal kit niche by the mega-corporations of food retail, it’s likely meal kits will be on the shelves and in people’s homes for the foreseeable future. It is worth keeping in mind that the internet meal kit model features a notoriously fickle customer base. In fact, a study by Second Measure found that Blue Apron retained only 15% of its customers after their first year with the company. Slim retention statistics were found to apply to the other meal kit services as well. Where did those customers go for their food after canceling with the online services? Back to the brick-and-mortar grocery stores. So, while meal kits are seemingly here to stay, it could be that in the future many paying for meal kits might just be doing so inside their local grocery stores.